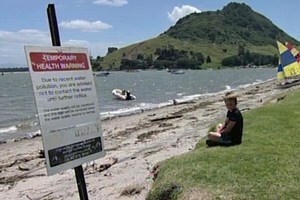 BOPwindsurfers: Health Warning issued for Tauranga Harbour! Contact with contaminated water may cause gastrointestinal illnesses, skin infections, eye and ear infections and sometimes chest infections. Shellfish tend to accumulate viruses and bacteria and may remain contaminated for up to three months and so it not advisable to collect shellfish from near urban areas especially in the months after an event such as this. I only just caught the notification on tonight's TV3 news. 4 small signs along Pilot Bay is apparently enough notice for all harbour users today. Would have been quite handy information to have had, prior to sculling a litre or two yesterday arvo! See post below. "Councils from the Bay of Plenty up to the Far North say people should stay out of the water and not collect shellfish, because of sewage flowing into the sea. "Some of the older parts of the network carry wastewater and stormwater, so if it rains, you can have a discharge if those pipe networks are overwhelmed with stormwater," says Grant Ockleston, Auckland Council stormwater manager. It even caused a triathlon to become a duathlon, with organisers having to cancel the swimming stage of their race. But many beachgoers complained they hadn't noticed the small warning signs. "You can make them as big as you like, but if people don't want to read them…" a Tauranga City spokesperson told 3 News. 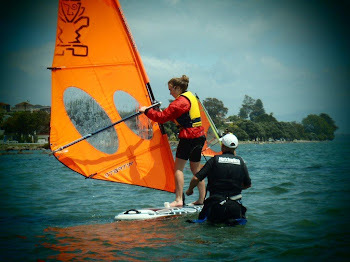 "We've got four signs along that beach - at the changing sheds and at the boat ramp. I think that we've got adequate signage."